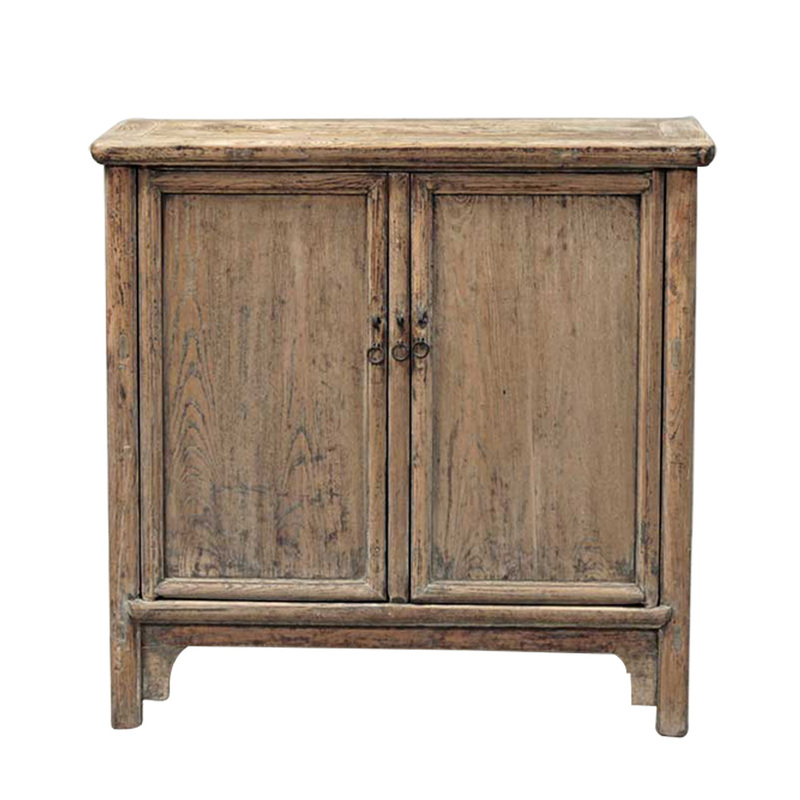 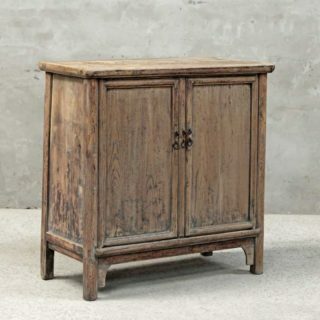 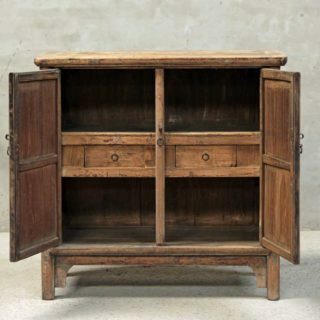 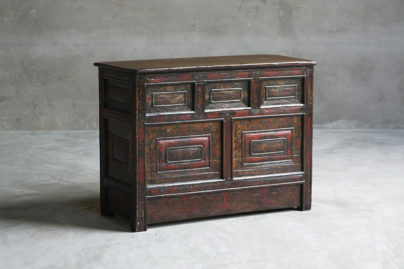 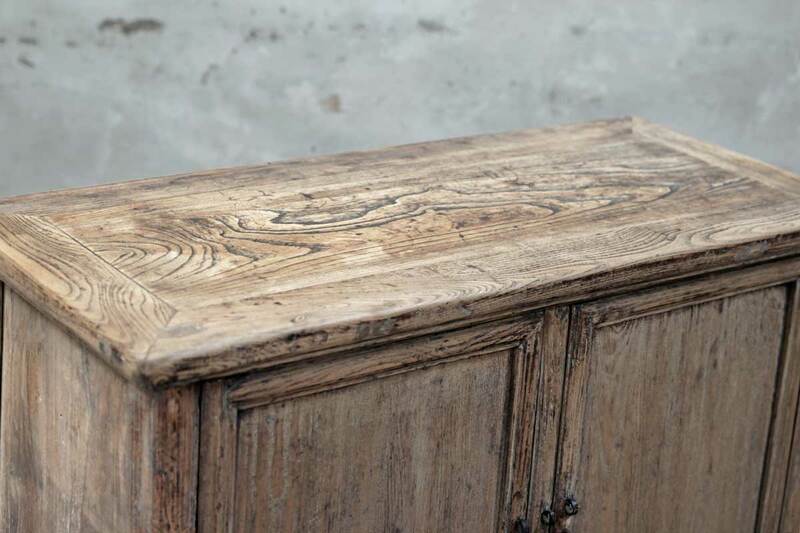 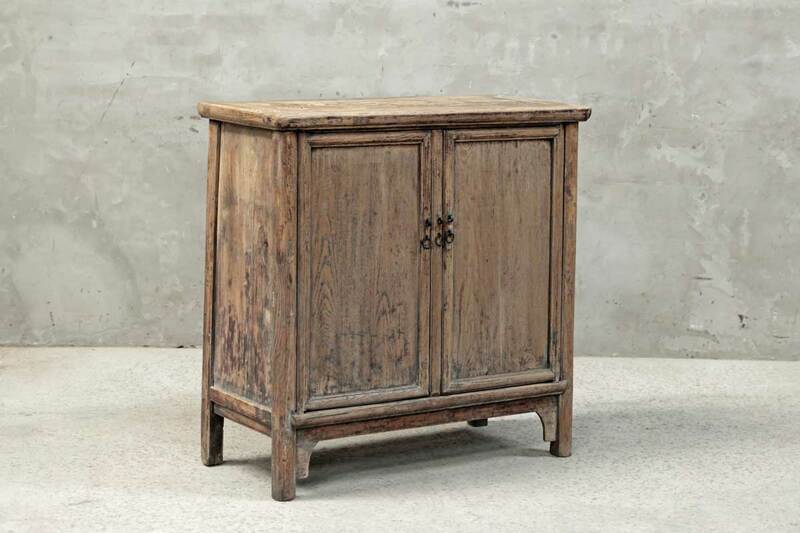 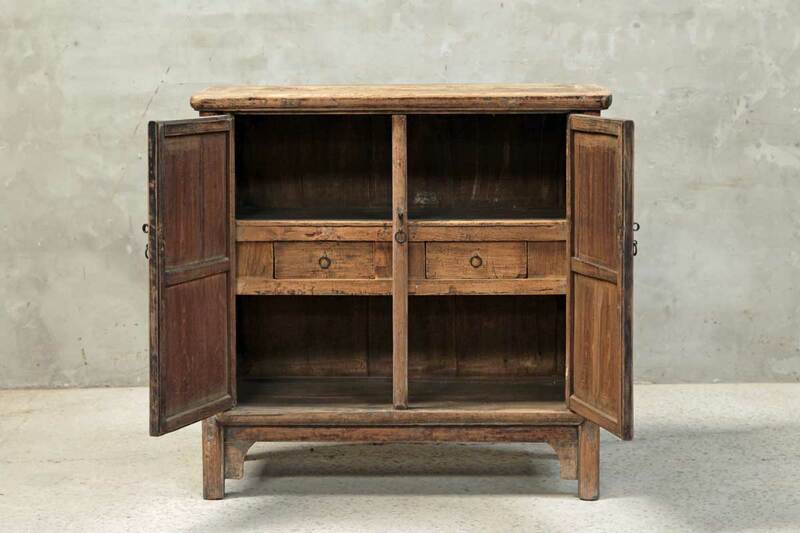 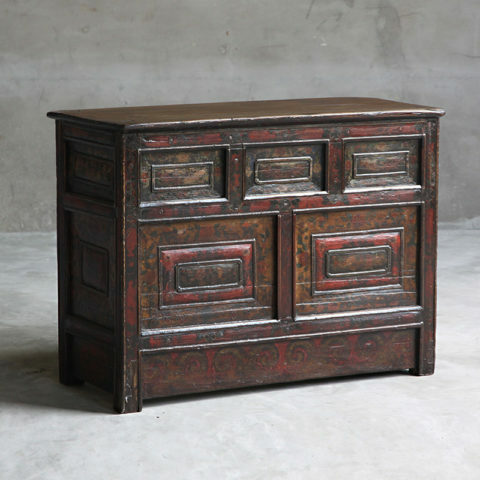 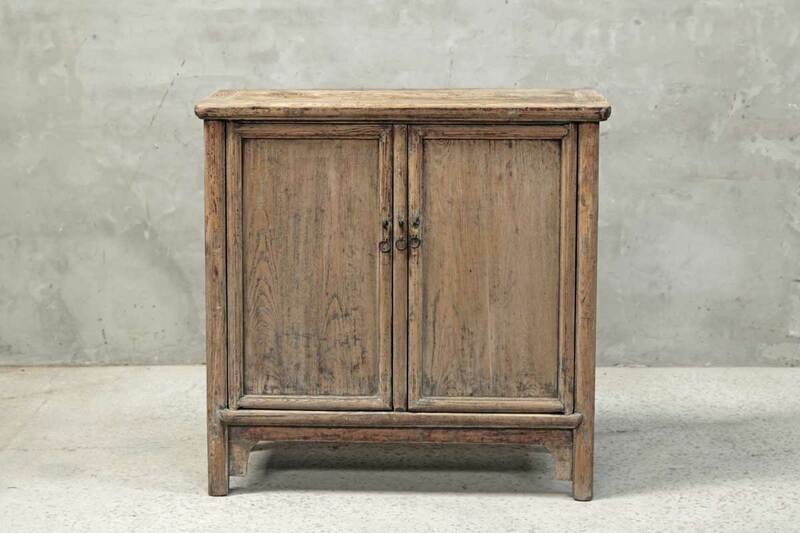 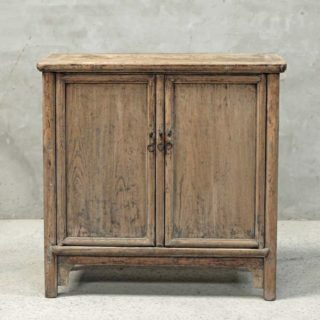 This simple antique cabinet provides plenty of storage behind its two cabinet doors where it reveals two hidden drawers. 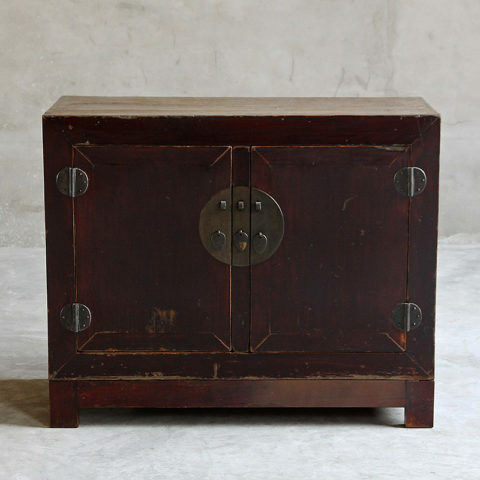 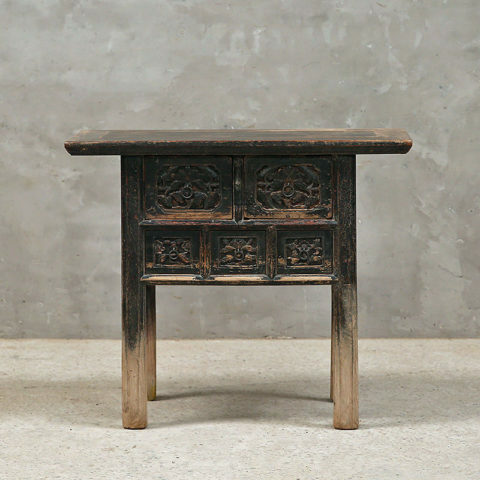 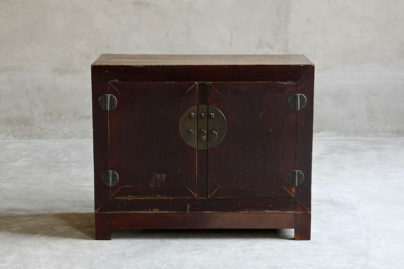 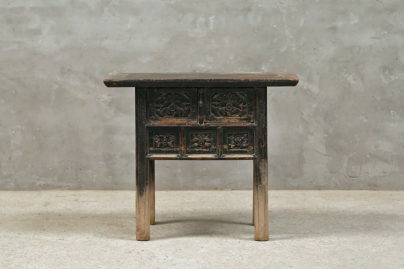 It will add a rustic touch to any space that needs a little extra storage. 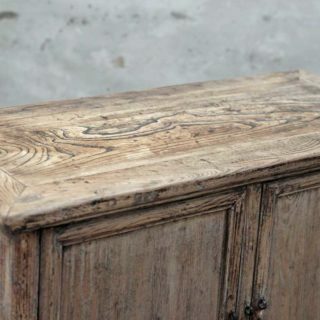 It is made of elm wood.